Many volatile oils are known to possess antifungal properties and are potentially applicable as antimycotic agents. 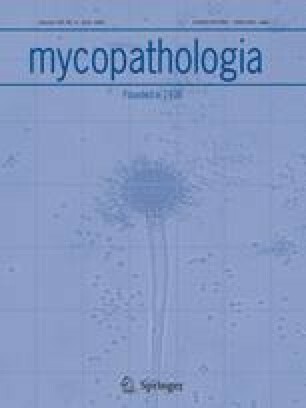 By studying the efficacy of essential oils against different pathogenic mycetes, we have evaluated the in-vitro inhibiting activity of some essential oils and their main constituents against a strain of Candida albicans. Sixteen commercial essential oils and forty-two pure constituents (alcohols, aldehydes, ketons, phenols and hydrocarbons), were tested by using a semisolid agar antifungal susceptibility (SAAS) method. Gas chromatography/mass spectroscopy analyses of the oils tested were performed. The essential oils of Origanum vulgare, Satureja montana, Mentha piperita, Cinnamomum verum, Cymbopogon flexuosus showed maximum inhibitory activity (MIC = 500 ppm) after 7 days. According to the results of the examination of pure constituents, β-phellandrene proved to be the most interesting component among cyclic monoterpenic hydrocarbons as it showed a strong activity (MIC = 50 ppm). The most active of phenols was carvacrol (MIC 100 ppm). The open-chain alcohol 1-decanol was the most active of alcohols at 50 ppm. Finally, among aldehydes, a strong activity was shown by trans-cynnamaldehyde (MIC 50 ppm).